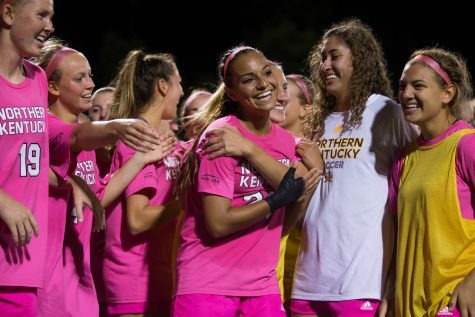 NKU soccer player Yaw Addai scored the game-tying goal Wednesday in NKU's 2-1 victory over Eastern Illinois. 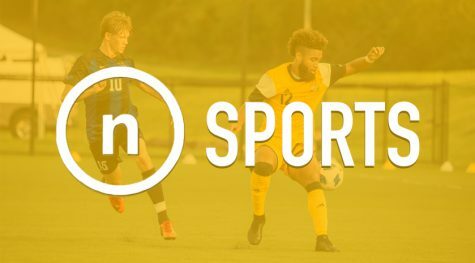 CHARLESTON, Ill. — It took just 31 seconds of extra time Wednesday for the NKU men’s soccer team to defeat Eastern Illinois, 2-1. 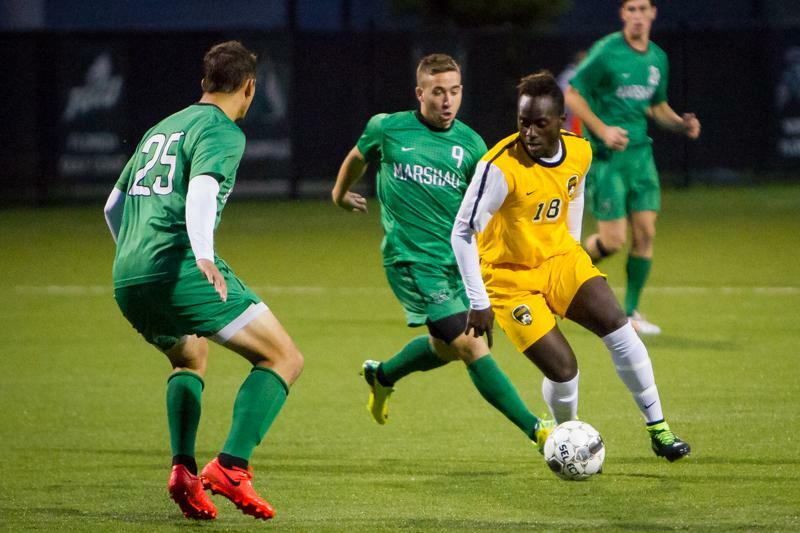 Less than a minute into overtime, Kobie Qualah beat keeper Ben Feltes to propel the Norse to victory. The Norse had to rally from a goal down. Tyler Massa scored his first of the season in the 14th minute to give the hosts a 1-0 lead. 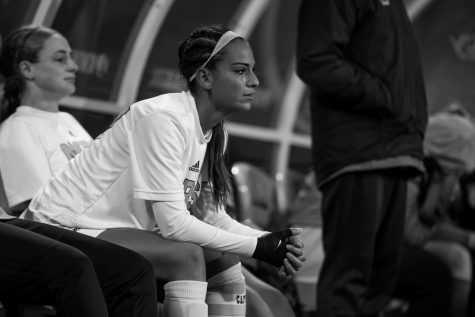 It remained 1-0 until the 75th minute. Yaw Addai scored from the top of the box to level the match. Jacob Cunningham had the assist on the Addai equalizer. 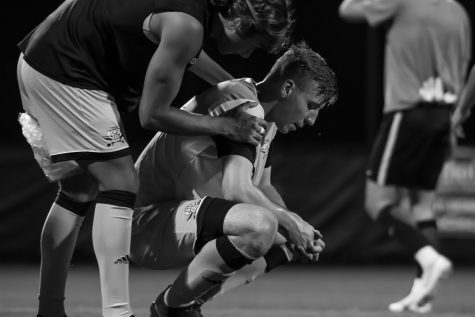 Unable to break the deadlock, NKU and Eastern Illinois headed to extra time. It was Cunningham again picking up the assist, finding Qualah for his fourth of the season to send the visitors home happy. 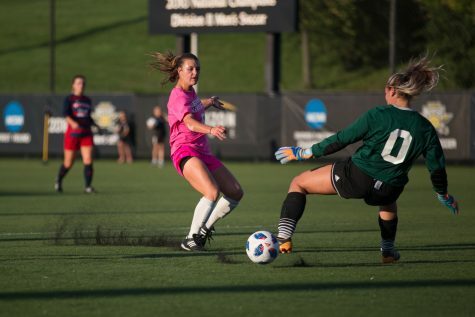 NKU dominated the run of play, outshooting EIU 13-2, including 5-2 in shots on goal. AJ Fleak recorded one save to pick up the victory. Qualah and Cunningham led NKU with three shots a piece. Campbell Morris added two shots. 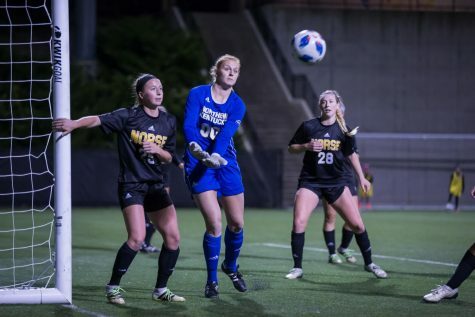 The Norse return to action 1 p.m. Saturday for senior day at NKU Soccer Stadium against Green Bay.